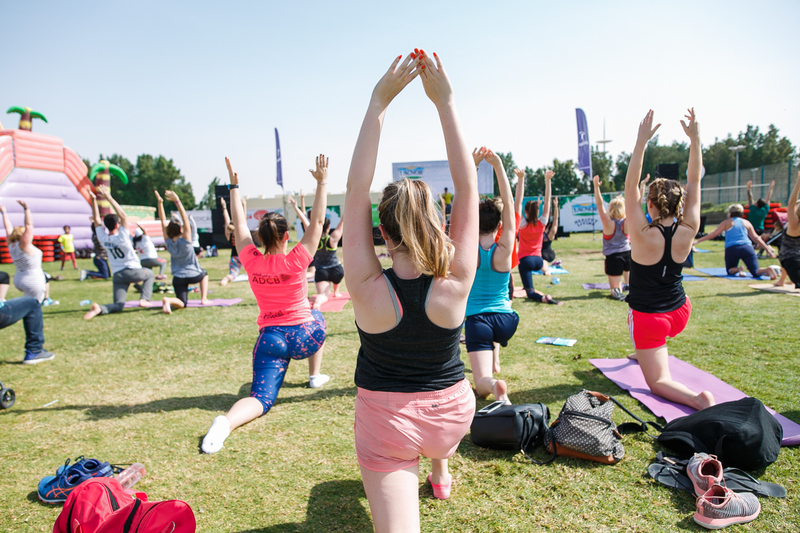 A 2 days of fitness fun event for the entire family! 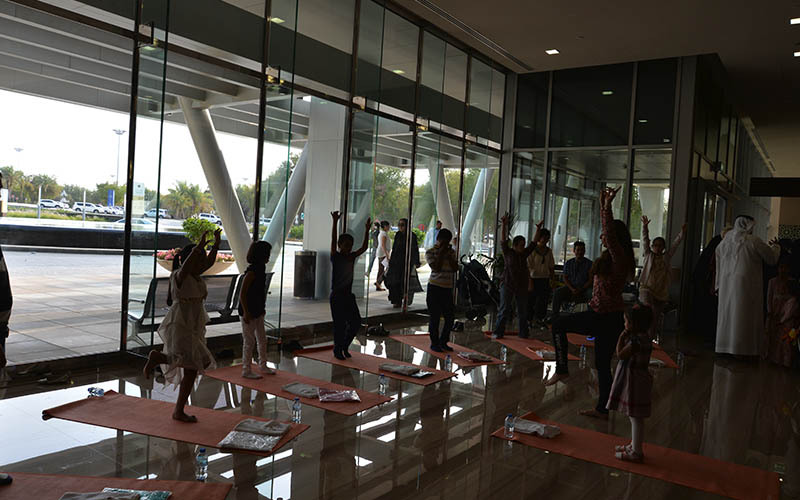 Enjoying free exercise classes, fitness challenges, healthy cooking classes, shopping, and more! 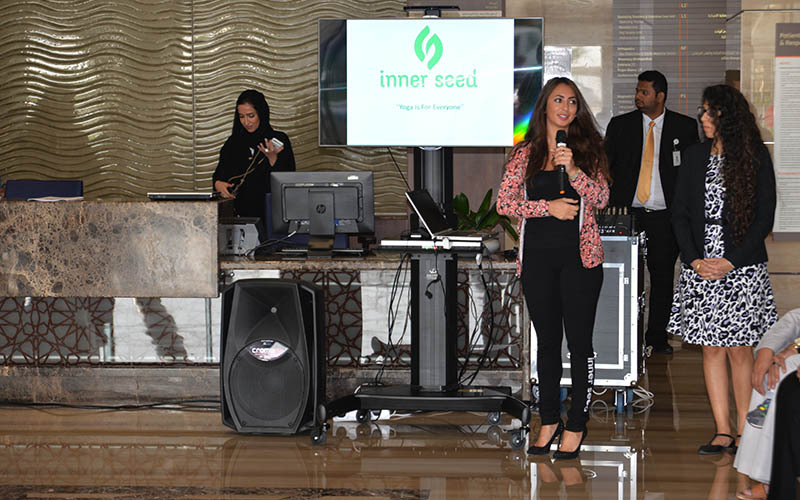 Inner Seed’s stand was promoting health tips and workshops. 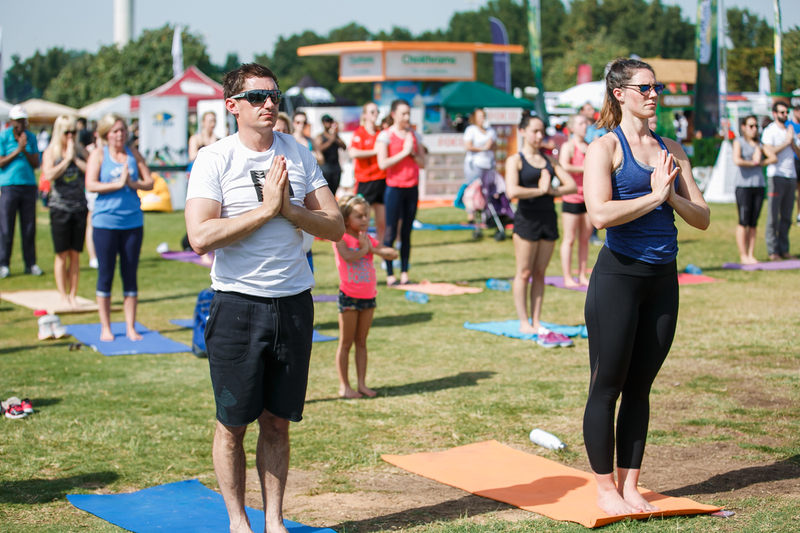 Visitors also had a chance to enjoy free yoga sessions on stage! YOGA was part of the TWOFOUR54 ‘s summer camp program. This bilingual two-week camp provided a fun-packed hands-on learning experience for children aged 9-12 years. 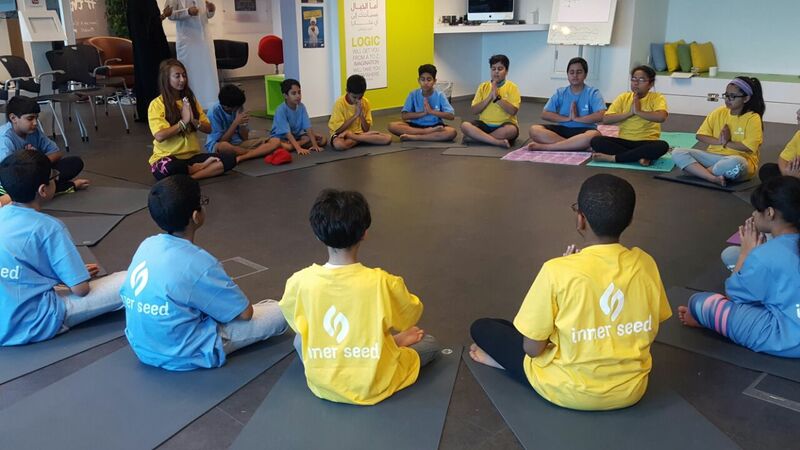 Inner Seed was happy to host for the second year, a 90 min YOGA and Mindfulness session where students learnt about the importance of a healthy body, mind and soul through fun yoga practices. 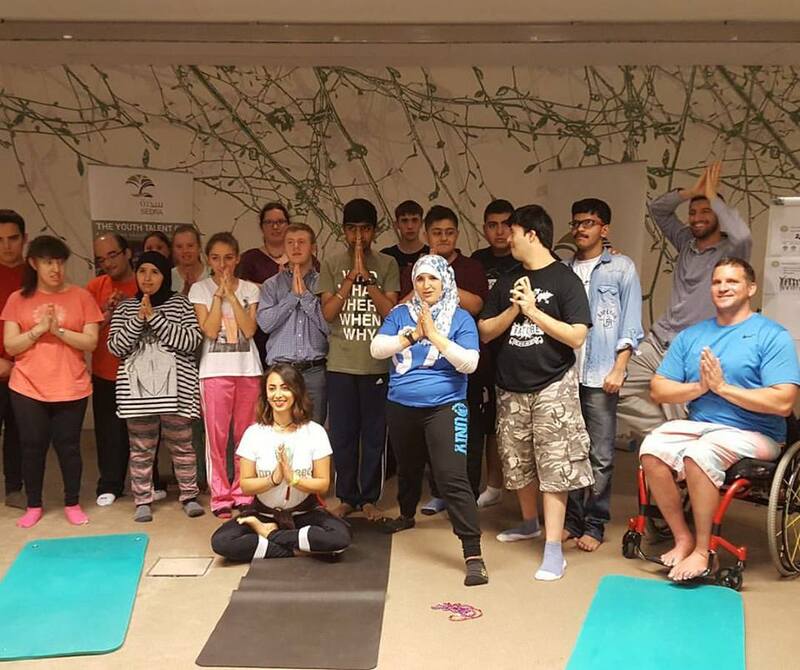 Inner Seed was vey honored to be hosting a Yoga and Meditation session as part of the YOUTH TALENT CLUB PROGRAM (for young adults with disabilities), to the beautiful souls of SEDRA members in Abu Dhabi. 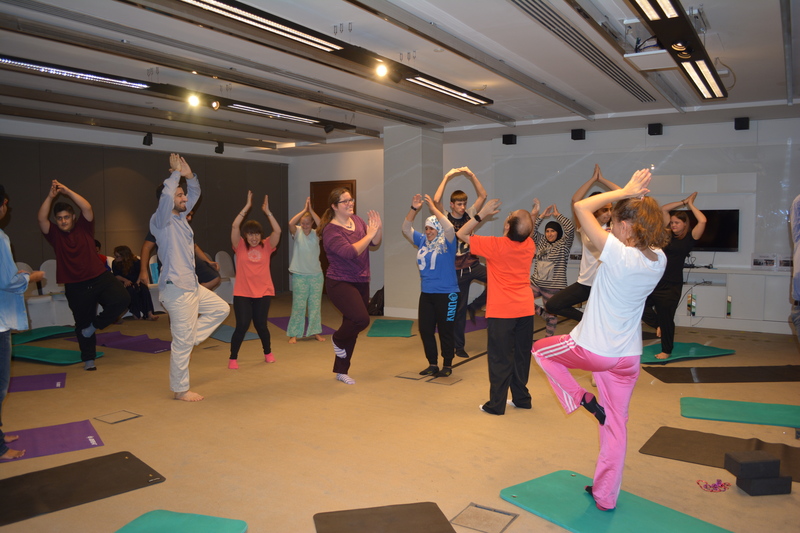 Inner Seed hosted a 60 min Teen Yoga and Meditation session to 46 Daman members. 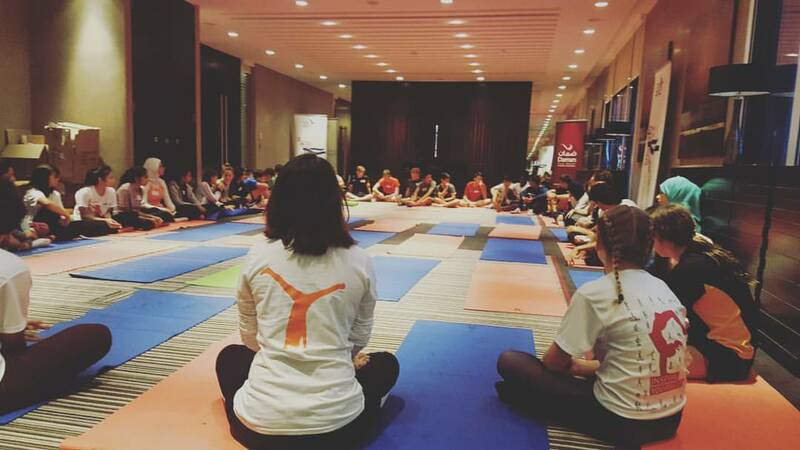 Together, they learnt breathing exercises that teaches them how to bring their focus into the present moment and how to manage stress. 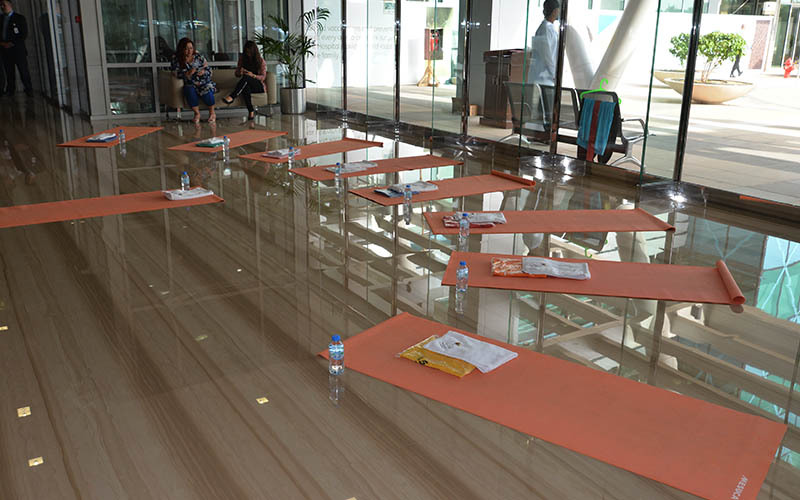 They learnt what mindfulness means and how to apply it in both yoga and meditation. 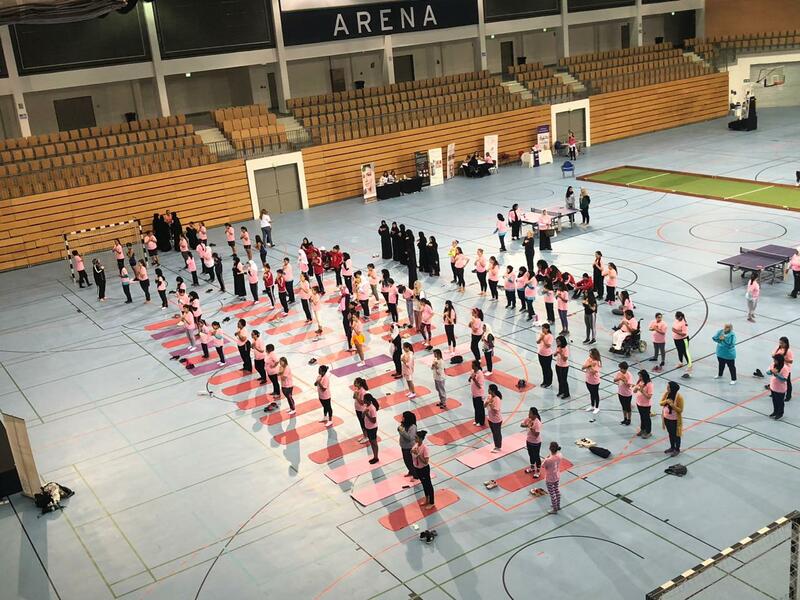 In addition, we went through yoga sequences that teaches teenagers body awareness. They have experienced a non-competitive activity where they were able to express themselves without judgment. And finally, they have learnt to create a safe space for themselves. A workshop hosted for new parents, encouraging both Mums and Dads to incorporate educational activities together. 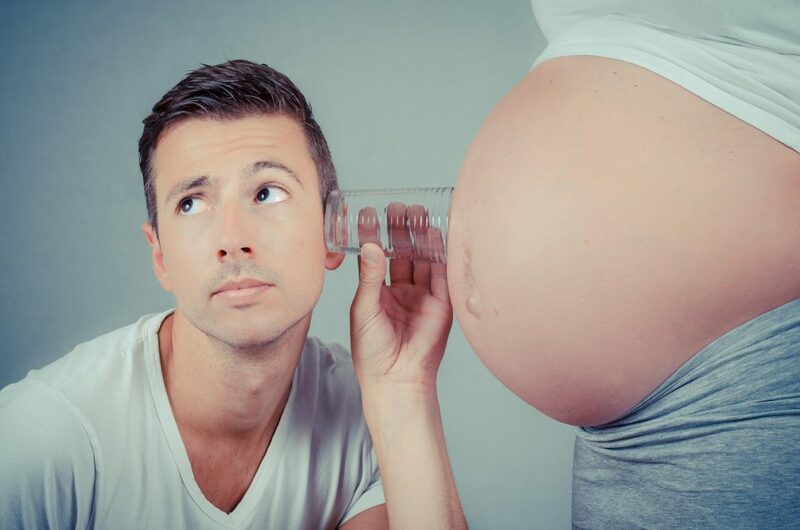 Mums&Dad enjoyed a full day discovering ways to connect with each other, stay healthy and learn tips and secrets that will prep both on the arrival of their baby! Our first steps as parents start here! 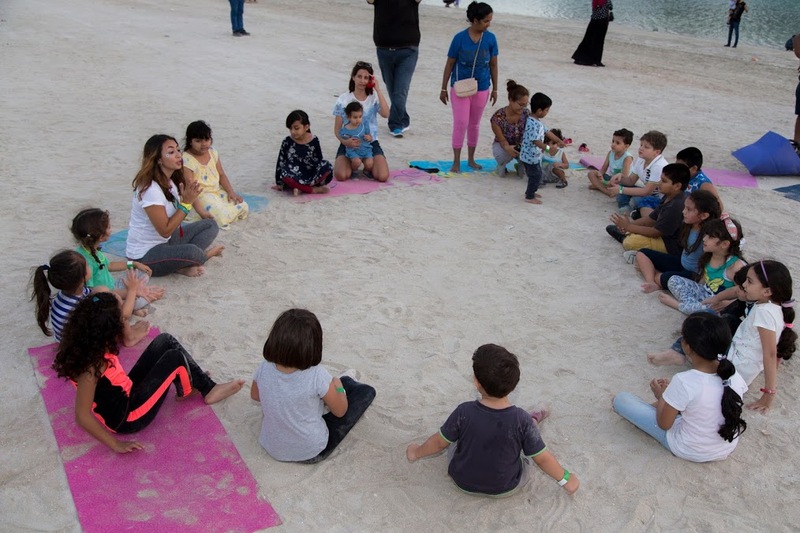 Al Dana Weekend took place on Al Dana Island within Al Raha Beach from 13th-15th April, The event was free, and open to the public. 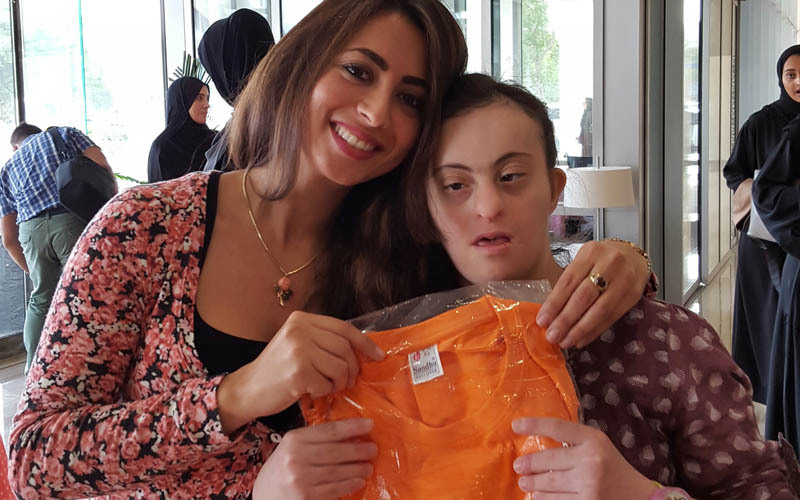 Inspired by the vibrant colours and carefree holiday atmosphere of Santorini, Al Dana Weekend brought together music, sport, entertainment and food. 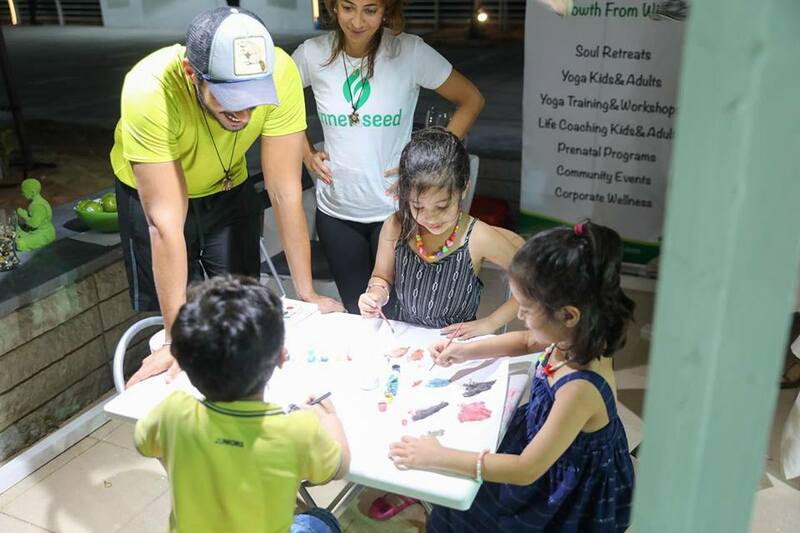 Inner Seed had a pop up booth and welcomed kids and parents to participate in an art session. 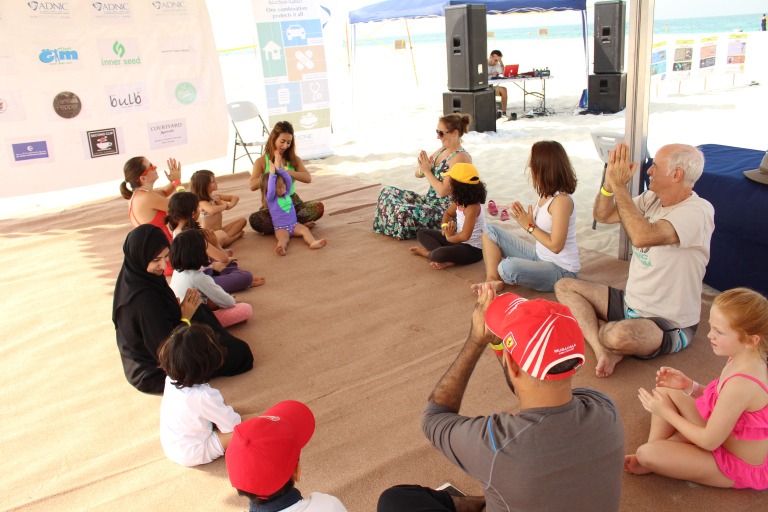 We also hosted a sunset yoga session where kids got to learn body awareness through fun and safe sequences. 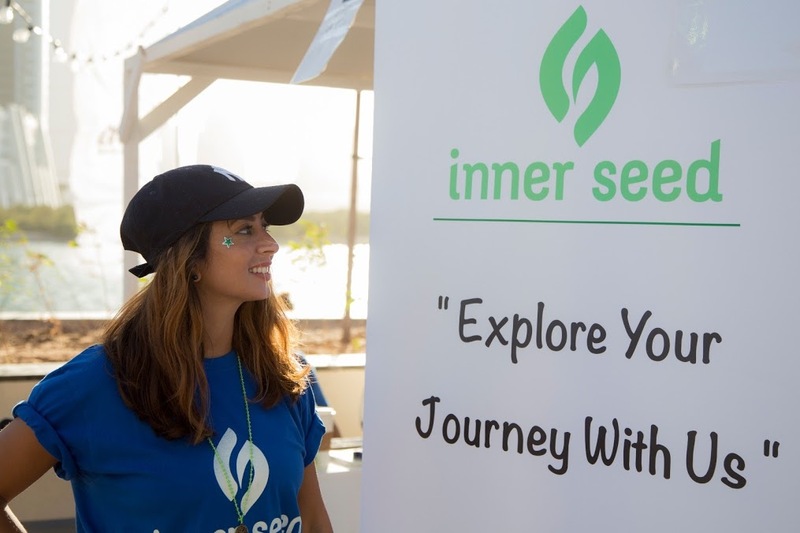 Reem weekend took place the following weekend where Inner Seed hosted a similar workshop for all the people on the island! 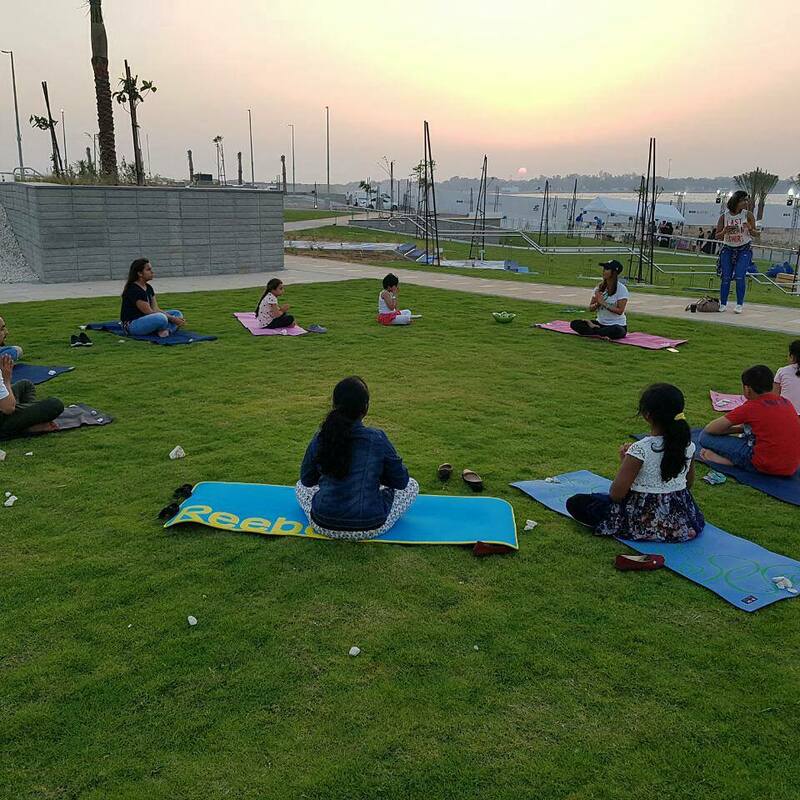 In collaboration with Operation Smiles U.A.E, we were happy to host ‘Parents and Kid yoga session’ at the Operation Smile Annual Kite Festival . What a better way to spend your Friday? 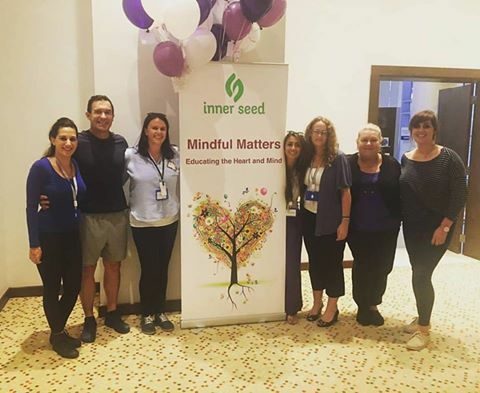 And that’s a warp to our second successful Mindful Matters event hosted December 10th 2016. Click here to view event video. 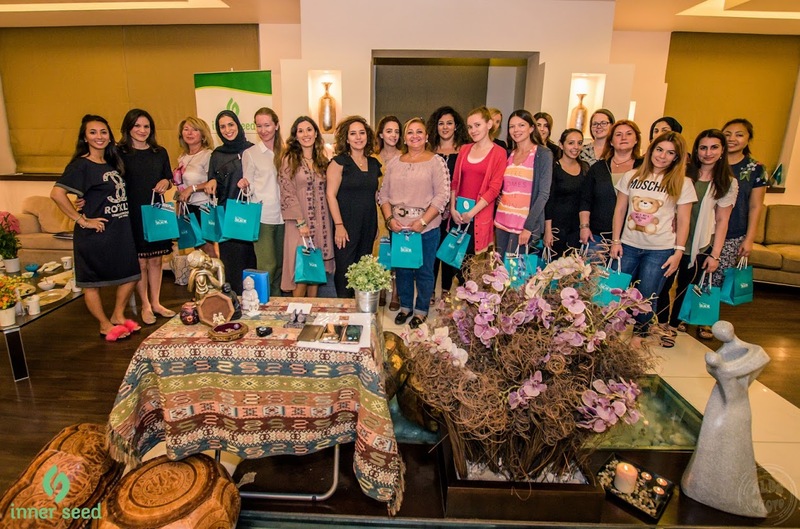 Our first event was such a great success because of YOU! Thank you to everyone who was a part of this fantastic day. Thank you to our fabulous team who put their heart and passion into the workshops. Thank you to all the participants and vendors who showed great support. Thank you Novotel Abu Dhabi Gate staff for all your help and assitance! We had so much fun. Seeing all of your faces and reactions made us so speechless; some happy some smiling some socializing, even making new friends and learning new things. 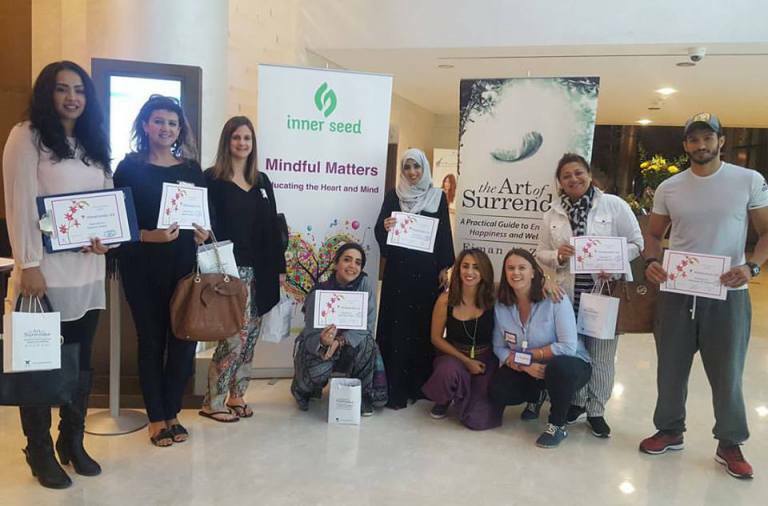 Thank you for helping us create a movement here in Abu Dhabi and across the UAE to teach Mindfulness. By helping teachers and parents yesterday, we got to help tomorrow’s generation. Last but not least, thanks to you, we got to help 2 children undergo surgery with Operation Smiles. 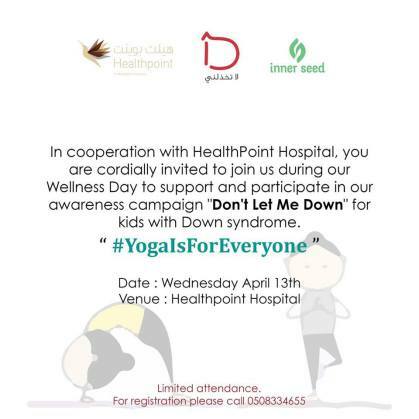 This year, Inner Seed will be hosting the second ‘Yoga is for Everyone’ workshop to highlight benefits of kids yoga for those with special needs. Kids will also get a chance to experience a 30 min session. Please come along and invite any educators, parents and children who may benefit from any aspect of this day. 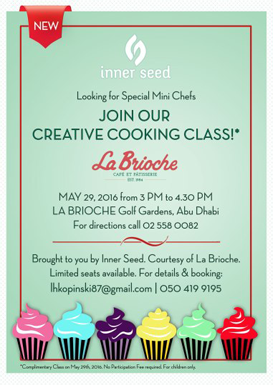 (Please note that this event is FREE of charge). 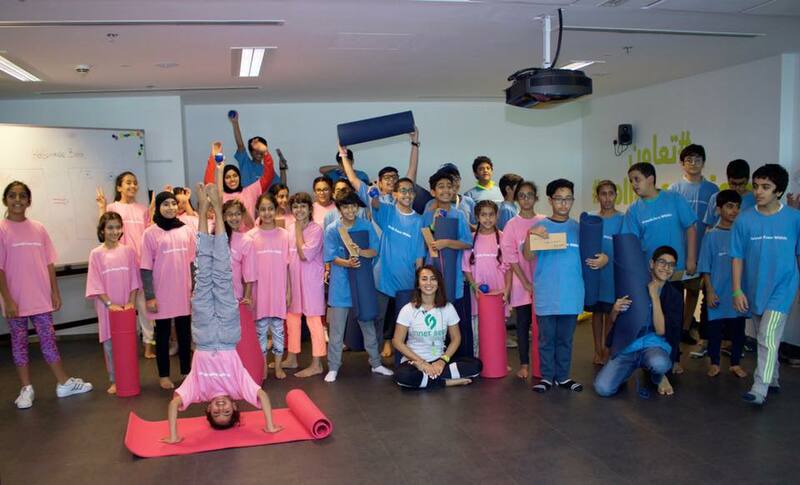 This two-week program has been hosted for kids between 9-12 at the Creative lab Abu Dhabi. 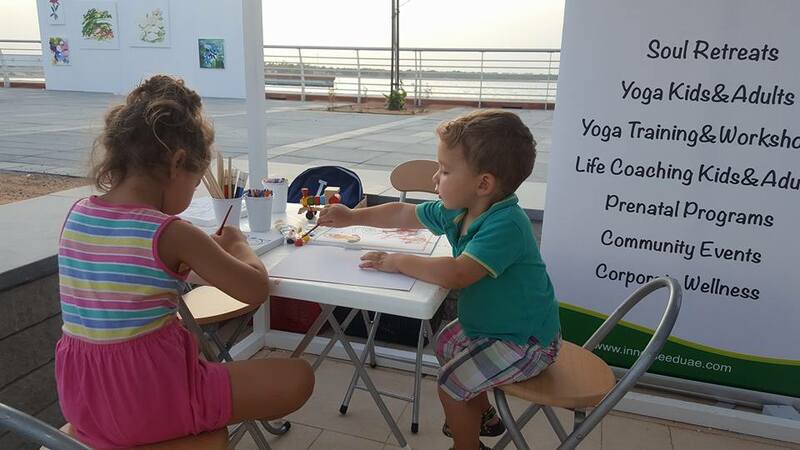 Each day was filled with fun and interactive learning activities which enabled children to acquire the skills they need in order to become artists, writers or even director. 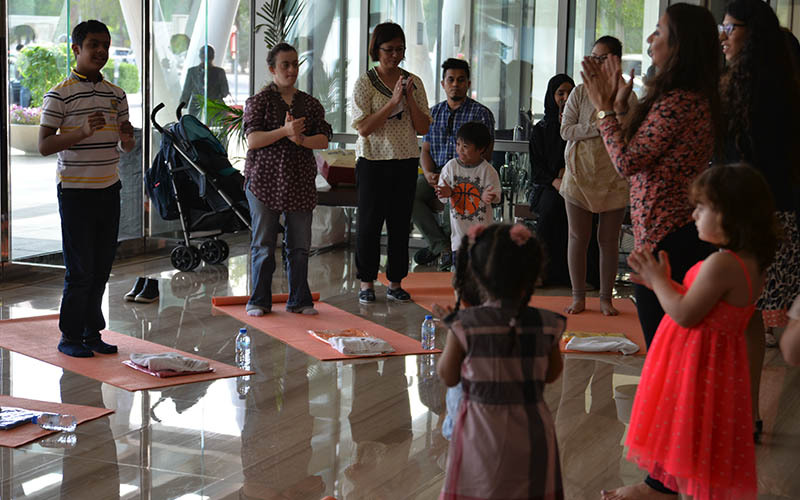 Inner Seed presented an introduction on the benefits of Kids yoga followed by a joyful yoga practice. 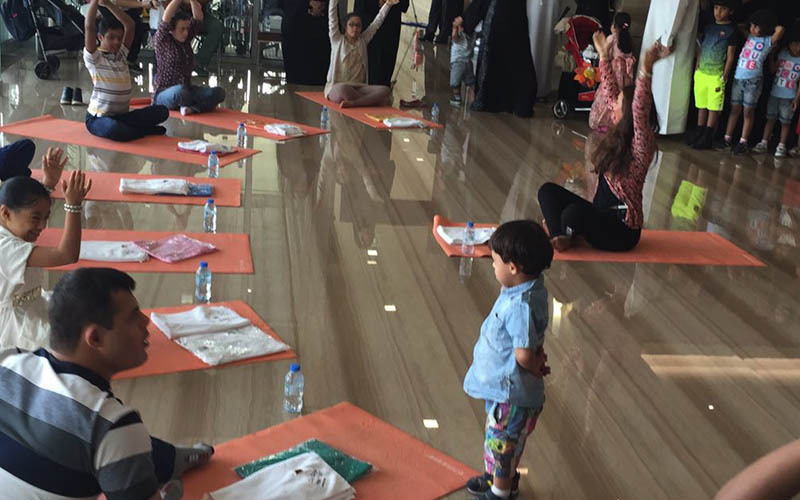 Teaching kids the art of yoga has given them a chance to express themselves in a non-competitive way. 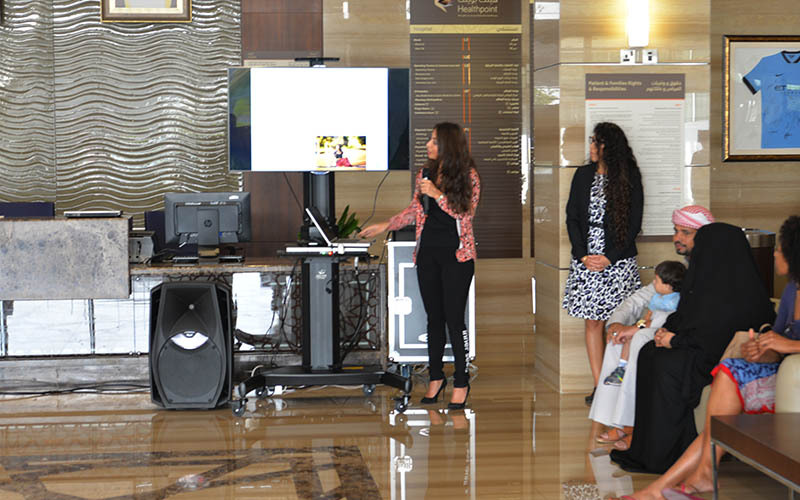 A Life Coaching session also took place so that kids can understand the importance of following one’s passion. 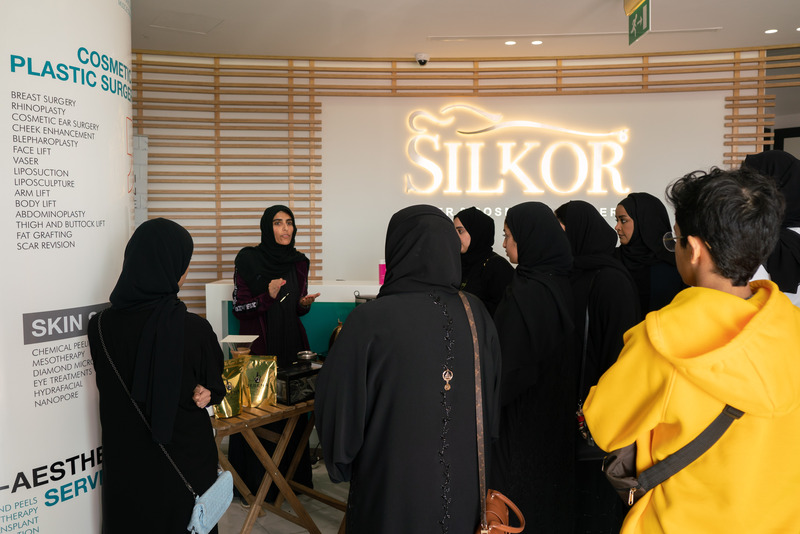 By the end of the camp, all participants got to showcase their work to their families and instructors. 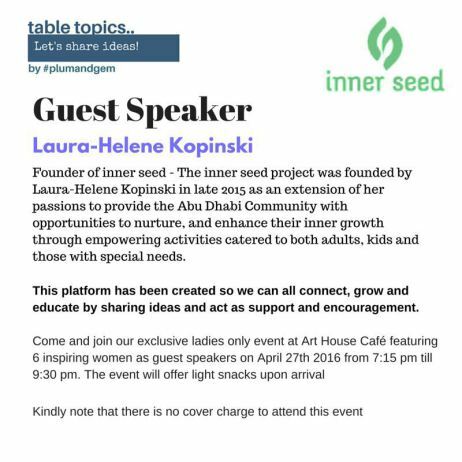 Join us for a unique evening discussion of inner learning. 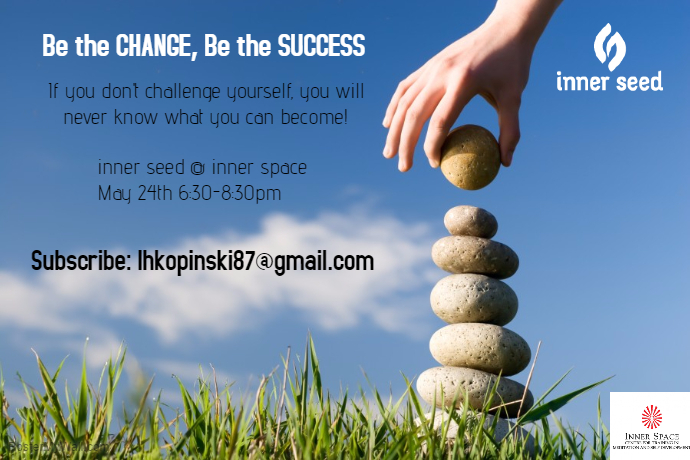 Discover your inner seed in the midst of what we call ‘chaos’. 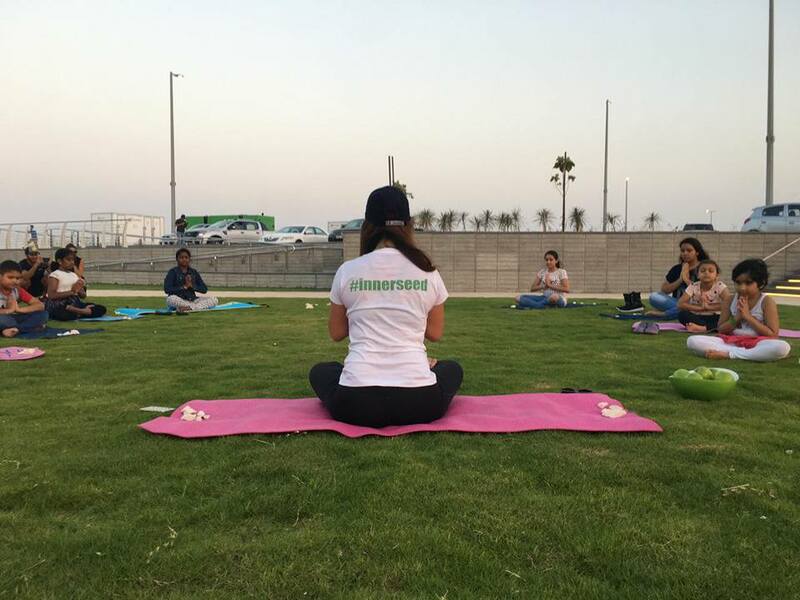 Understand meditation and how can I practice it in a very practical way to reconnect to the dormant seed of peace inside me. Attend this talk to find a happy place and to maintain a positive life journey through meditation. A delightful evening filled with interesting conversations and interesting women from all sorts of different backgrounds. Join me in finding out more about how you can grow and develop and see where it leads you. Learn how to follow your passion by believing in yourself.